Heat oven to 350°F. Line 8-inch square pan with foil, leaving extra foil hanging over sides of pan. Coarsely crush cereal. In medium bowl, mix crushed cereal and melted butter; stir until mixed well. Press mixture in bottom of pan. 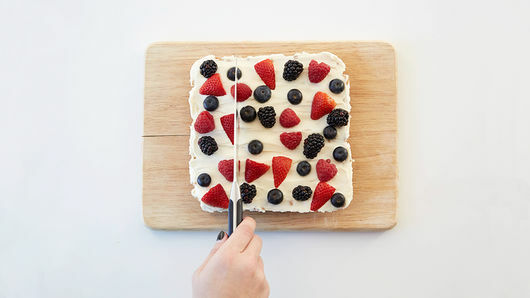 Bake 13 to 15 minutes or until set. Cool completely, about 30 minutes. Meanwhile, in medium bowl, beat cream cheese, sugar and vanilla with electric mixer on medium speed until fluffy and smooth. 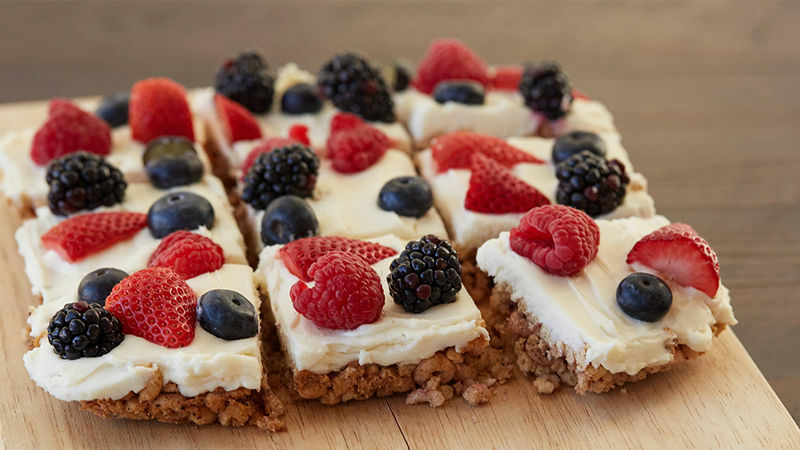 Carefully spread onto cooled crust; top with berries. Cover and refrigerate until set, about 1 hour. 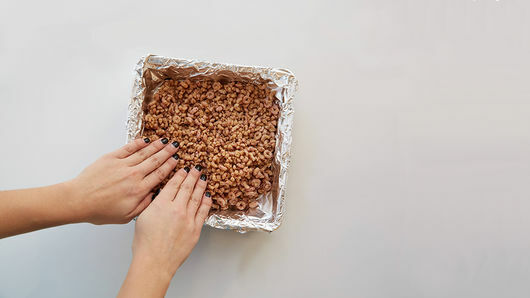 Remove bars from pan by overhanging foil; cut into 3x3 rows. 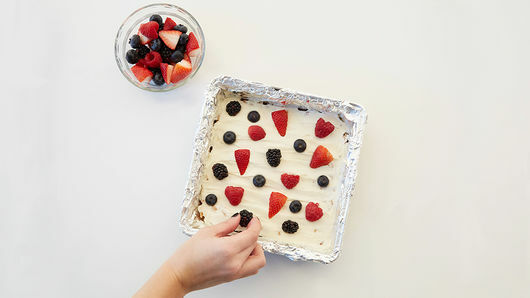 If desired, sprinkle berries with powdered sugar before serving. Bars are best served within 1 to 2 days. Store covered in refrigerator.